80 farmers heard how 489 farmers died in accidents on their farms in the last 10 yrs in Britain. The biggest cause of fatal accidents involves transport such as being run over or crushed by farm vehicles, but last year 3 farmers were also killed by farm animals. 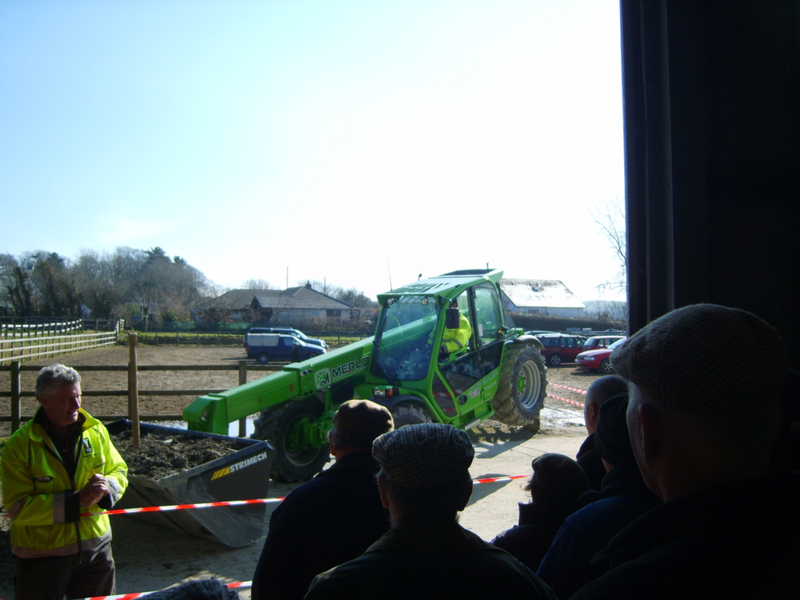 Other causes included falls from roofs, stacks or trailers and clearing blockages from forage machines. 80% of people in the farming industry suffer from bad backs, shoulders or knees (musculoskeletal disorders) - most of these injuries can be prevented. Farmers attending the event heard about what they can do to avoid these types of injuries by using good/lifting techniques and mechanical help. 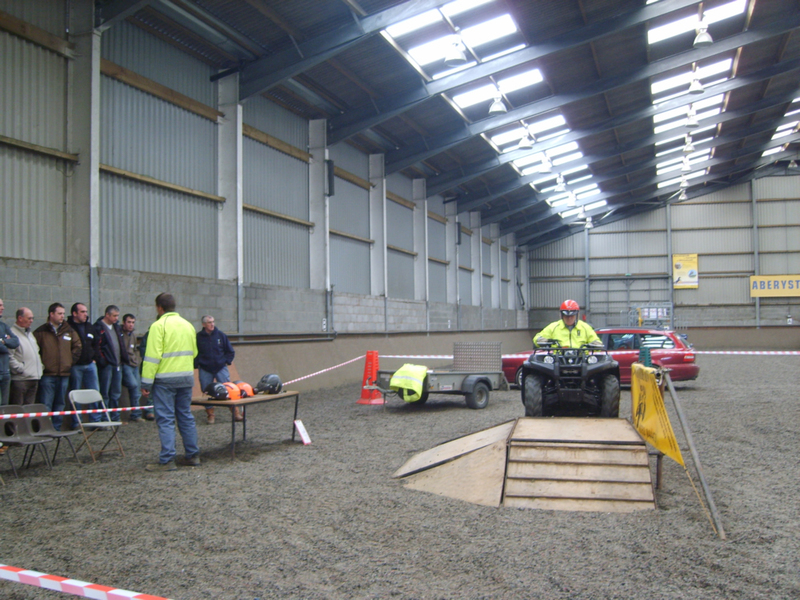 The day also covered Quad Bikes, Telehandlers, Vehicle Maintenance and Animal Handling. Many of those who attended agreed to make changes on their farms. Our thanks go to all who helped to make this day possible – we are pleased that those who came had a useful and beneficial day, and would recommend others attend. Further events will be held later this year; Farmers will receive an invitation letter from HSE. There’s a chance to see some of the scenarios at the National Sheep Association Welsh Sheep Event, Betws y Coed on 19 May 2009.